An accident on Route 6 in the Cape Cod area made the work day a bit longer for motorists trying to get home. The accident happened just before 6:00 pm in Barnstable, Massachusetts near exit 6. The accident involved two vehicles. Massachusetts State Police were called to the crash scene to investigate. The exact sequence of events in the crash is still under investigation by police at this time. However, one of the vehicles involved in the accident was located in the woods off the highway. The other vehicle remained on or near the roadway. At least one person was transported to Cape Cod Hospital following the collision. There is no word on that person’s condition or their identity at this time. Traffic was slow and was backed up for a considerable distance approaching the scene of the accident. Eventually, State Police were able to clear the roadway and traffic returned to normal. A car accident with injuries can occur at any time. In particular, the morning and afternoon commutes are a time where we see a lot of accidents occur on local highways. The reasons for this are based in sheer numbers. Statistically, far more people are using the highways between 7 and 9 am on their way into work and later between 5 and 7 pm as they head home for the evening. 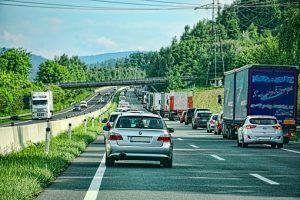 Also, during this time, drivers may be more distracted and focusing on things they need to accomplish that day or thinking about what they are going to do when they arrive home. They may also be focused on cell phones, emails or some other distraction which takes their attention away from the road. Either way, this all adds up to a more dangerous driving environment. If you have been involved in an injury accident in Massachusetts, you need an experienced injury attorney to handle your case. A good personal injury attorney knows exactly which steps to take in order to gain the most compensation for your injuries. They know how to maximize settlement value with the insurance company or take a case to trial when necessary. At the Law Offices of Jeffrey S. Glassman, we know how to handle personal injury cases because its what we do. Each member of our team is extensively trained in handling these cases and is dedicated to your case like it was their own. For a free consultation with one of our Boston attorneys, please call us today at 617-367-2900.